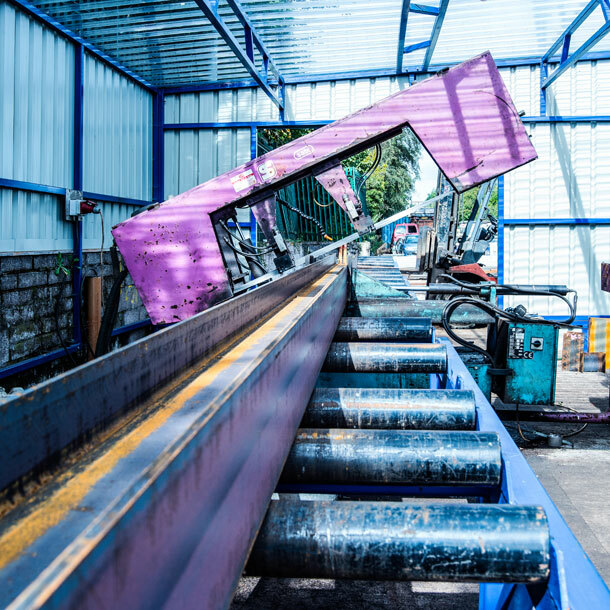 With the ever expanding onus for metal recycling being addressed by the Northern Ireland Environment Agency, T-Met Ltd have taken extreme steps in the industry to comply and encourage an environmentally correct system for the collection and processing of ferrous and non-ferrous metals. 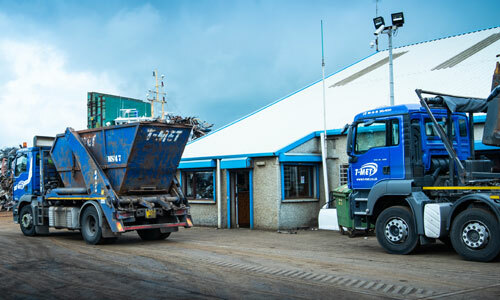 T-Met Ltd, established in Feb. 2000, has grown to become one of the largest recyclers and exporters of scrap metal in Northern Ireland. T-Met has continued to diversify its core business to include the selling of new steel and second-hand car parts for the benefit of our customers. 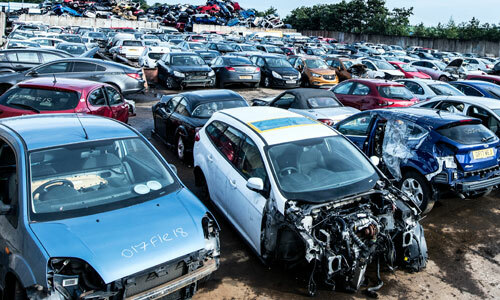 T-Met are committed to building a “one-stop-shop” for all our customers recycling needs. 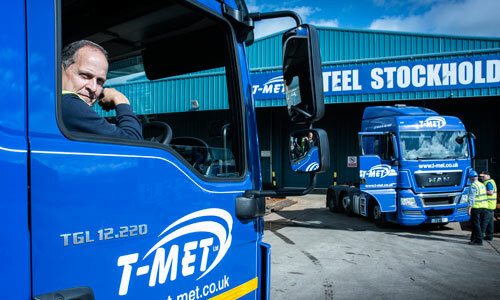 With fully licensed depots strategically located in Armagh, Belfast, Coleraine and Campsie, T-Met are capable of collecting ferrous and non-ferrous scrap, End of Life vehicles (ELV’s) whilst being able to deliver new steel and car parts conveniently and timely to all areas of Northern Ireland and beyond. 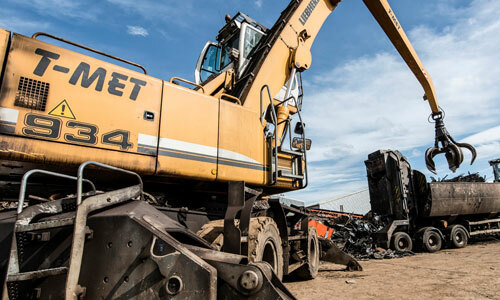 From car batteries to copper cylinders, round bar to hollow sections, second hand engines to gear boxes, T-Met is committed to covering all your metal recycling needs. Please call us today for more information or drop into one of our depots across Northern Ireland. T-Met recognises that the environment is a central business concern and that our secondary metal process and supporting operation collectively may have an impact on the environment. Accordingly an environmental system is implemented and will be maintained in accordance with the required BS EN ISO 9001:2015, and 14001:2015 and incorporated into our Quality, Health and Safety and Environmental Management Systems. T-met are committed to ensure compliance with existing and future environmental legislation and other requirements to which the company subscribes whilst maintaining a programme of continual environmental improvement through the framework of setting and reviewing Quality, Health and Safety and Environmental objectives and targets. Our objectives shall be to reduce the risk of pollution arising through our processes by identifying and seeking to reduce significant environmental aspects and shall endeavour to minimise, revise and recycle all material wherever practical. It is the responsibility of all the T-Met personnel to implement the quality, Health and safety and environmental management system, which will be subject to regular management review and audit under the direction of the quality and environmental manager to ensure its suitability and effectiveness in achieving these company objectives. T-met will communicate the commitments made within this policy to all employees and ensure that an adequate standard of instruction and training in environmental matters is maintained at all levels of employment. The Quality and Environmental Manager is the T-Met management Representative with defined responsibility for ensuring that the requirements of the international codes and standards are implemented and maintained.